Biological invasions of aquatic plants (i.e., macrophytes) are a worldwide phenomenon, and within the last 15 years researchers have started to focus on the influence of these species on aquatic communities and ecosystem dynamics. 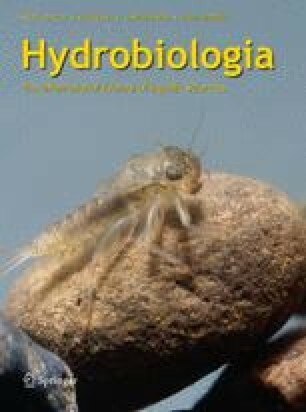 We reviewed current literature to identify how invasive macrophyte species impact fishes and macroinvertebrates, explore how these mechanisms deviate (or not) from the accepted model of plant–fish interactions, and assess how traits that enable macrophytes to invade are linked to effects on fish and macroinvertebrate communities. We found that in certain instances, invasive macrophytes increased habitat complexity, hypoxia, allelopathic chemicals, facilitation of other exotic species, and inferior food quality leading to a decrease in abundance of native fish and macroinvertebrate species. However, mechanisms underlying invasive macrophyte impacts on fish and macroinvertebrate communities (i.e., biomass production, photosynthesis, decomposition, and substrate stabilization) were not fundamentally different than those of native macrophytes. We identified three invasive traits largely responsible for negative effects on fish and macroinvertebrate communities: increased growth rate, allelopathic chemical production, and phenotypic plasticity allowing for greater adaptation to environmental conditions than native species. We suggest that information on invasive macrophytes (including invasive traits) along with environmental data could be used to create models to better predict impacts of macrophyte invasion. However, effects of invasive macrophytes on trophic dynamics are less well-known and more research is essential to define system level processes. The authors thank Jonathan Fleming and two anonymous reviewers for their comments on earlier drafts of this manuscript. Financial support for this study was kindly provided by the U.S. Geological Survey, Department of Wildlife, Fisheries & Aquaculture, and the Geosystems Research Institute at Mississippi State University. Stiers, I., N. Crohain, G. Josens & Triest, L., 2011. Impact of three aquatic invasive species on native plants and macroinvertebrates in temperate ponds. Biological Invasions: 1–12. doi: 10.1007/s10530-011-9942-9.